The T-34/76 had been a capable medium tank against the hoards of light and medium tanks of the German Army during the invasion of Russia aka Operation Barbarossa in 1941. However when the mighty Tiger Tank arrived on the Eastern Front in 1942, its thick frontal armour was almost impervious to the 76mm main gun of the T-34 and the Tigers 88mm main gun could penetrate the T-34’s frontal armour with ease. A series of heavy tanks entered development from 1943 in Russia (which coincided with the Panthers appearance on the battlefield in the same year, itself being hurriedly designed to combat the T-34) and as a result were better armoured and had more powerful main guns. 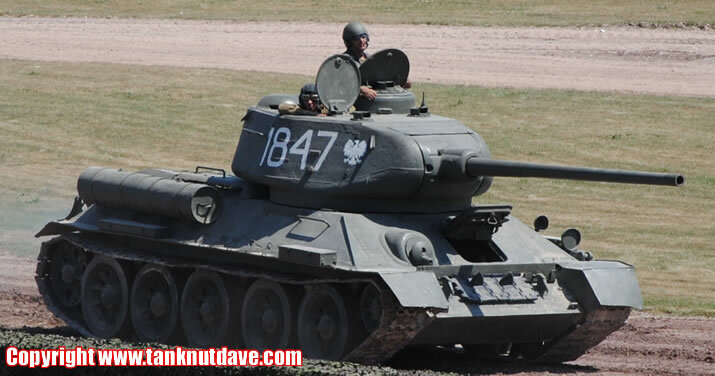 The first of these heavy tanks was the KV-85. 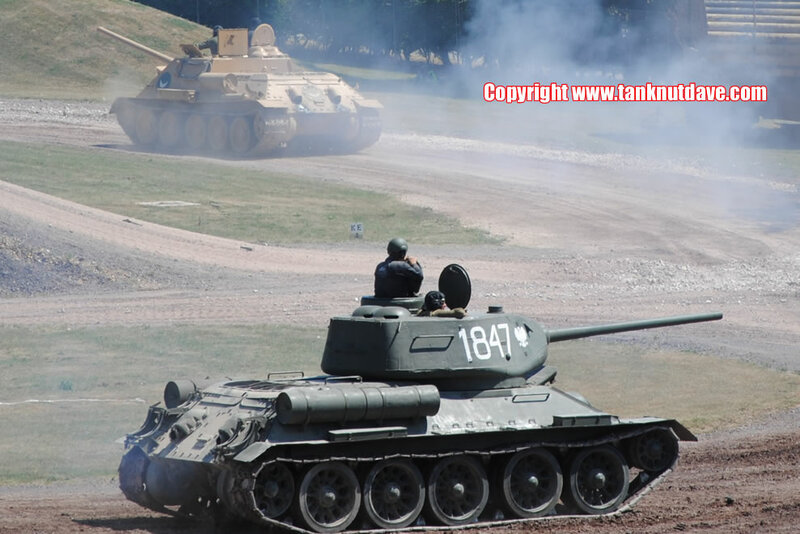 A new Russian medium tank was also required to take on the German Tiger and Panther tanks. Development of an up armoured T-34 had resulted in the T-43, however its turret lacked a main gun capable of taking on these German tanks. Instead the T-43 hull with its thicker armour was fitted with the same turret of the KV-85 to create a new hybrid tank designated the T-34/85. The initial T-34/85 model 1943 entered production in January 1944 and retained the D-5T main gun from the KV-85 whilst the issues of fitting the new ZiS-S-53 85mm main gun were sorted, which was capable of penetrating the frontal armour of the German Tiger and Panther tanks. T-34/85’s fitted with the new gun entered production in March 1944 as the T-34/85 model 1944 and was the standard production vehicle until a more modernised version designated the T-34/85 II appeared in 1947. The vehicle lay out was driver front left and the radio operator to his right (who also operated the frontal bull mounted DT 7.62mm Machine Gun) in the front of the hull. The vehicle commander, main gun loader and the gunner were located in the turret. 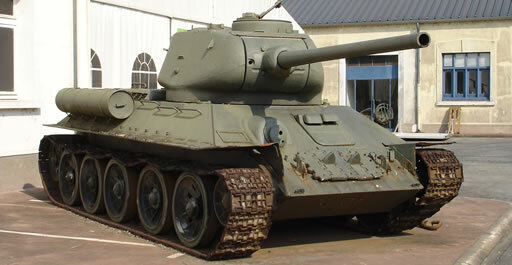 A bulkhead separated the crew from the engine, which remained unchanged from the T-34/76 (designation of the original T-34) as did the Christie suspension, but a new five speed gearbox was fitted. 11,000 vehicles were built during 1944 and eventually licensed production began in Czechoslovakia and Poland in 1950’s. Production ended in 1964. Other than the countless campaigns the vehicle contributed to on the Eastern Front during the Second World War, it saw action in the Korean War and various Middle-East conflicts. It was even used in the former Yugoslavian wars during the 1990’s and was videoed during a riot.